vehicle on October 12, 2004. He was assigned to 20th Engineer Battalion, 1st Cavalry Division. Specialist Moreno died on October 13, 2004.
near his patrol vehicle in Baghdad. He was based at Fort Hood. "He used to help people so much,"
his dream, to be a soldier." Moreno is survived by his wife, Alma, and an 8-year-old daughter, Alexis. Specialist Weger died on October 12, 2004.
son. "Someday, Damian is going to want to know who his dad was," said Weger's father, Gregory. Sergeant Boatright died on December 4, 2004.
from Frisco, Texas, was killed Dec. 4 in Baghdad when an improvised explosive device struck him. and 4 who live near Fort Hood. 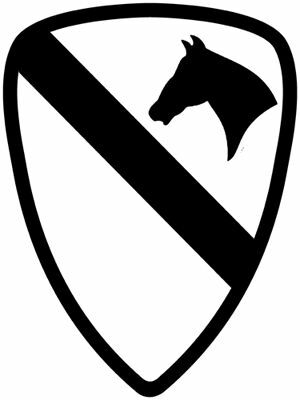 Battalion, 1st Cavalry Division, Fort Hood, Texas. Sergeant Faulkner died on September 8, 2004.
survived by his father, James Faulkner, and his stepfather, Greg Gilkey. Engineer Battalion, 1st Cavalry Division, Fort Hood, Texas. Staff Sergeant Penamedina died on April 27, 2004.
near his patrol vehicle in Baghdad.